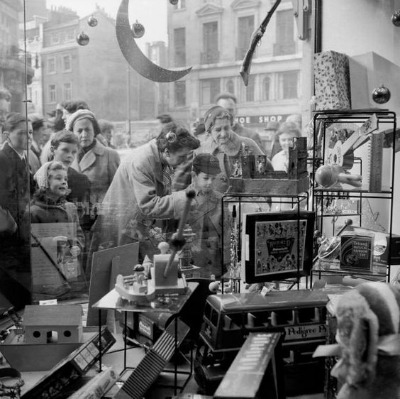 Christmas shoppers in the fifties relied on window displays for gift ideas. 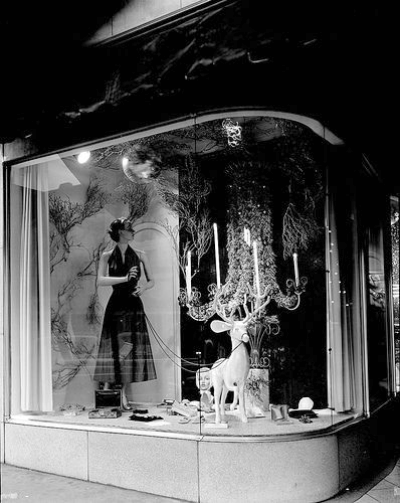 What a pretty halter top dress in Taylor's Store in Raleigh, North Caroline in 1951. I'm sure I would have been tempted to buy one for myself. Posting will be a bit sporadic in the coming days before Christmas. We still have much to do.